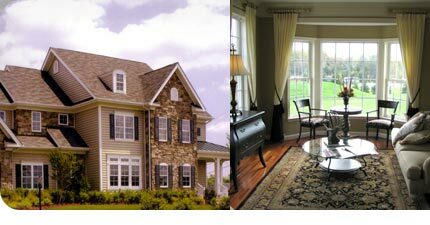 Johnson Drywall & Construction, Inc. | drywall and paint for new homes | Manassas, Northern Virignia. Johnson Drywall & Construction, Inc. was established in 1975, in Fairfax County and incorporated in 1983. Since that time the business has grown steadily each year and currently does work for several of the largest builders in Fairfax, Fauquier, Loudoun and Prince William Counties. Wayne and Marie Johnson are the owners of Johnson Drywall & Construction, Inc., and together have more than thirty years experience in this area of home construction. Their son, L. Eric Johnson, is now an officer and personally supervises the projects along with the field superintendents. The company specializes in all phases of drywall and paint for new residential homes, town homes, condos and apartments. Through our work with many builders over the years, we have acquired a reputation of dependability, maintaining the builders' schedules and most importantly producing quality drywall installation and paint application. In October 1987, Johnson Drywall & Construction, Inc. expanded the contract work to include a paint division as a courtesy to our builders who desire to use the drywall and paint combination. We currently have several jobs where we perform drywall only and will continue this format for builders who have their own paint contractors. The company has approximately fifty full-time employees experienced in all phases of drywall and paint. With two drywall and two paint supervisors, our employees produce quality work on a timely basis. In accordance with OSHA Standards, a Hazardous Communication Program and Material Safety Data Sheets will be provided upon request to builders or job superintendents. Johnson Drywall & Construction's supervisors and lead painters possess a copy of the Hazardous Communication Program and MSDS. Johnson Drywall & Construction, Inc.